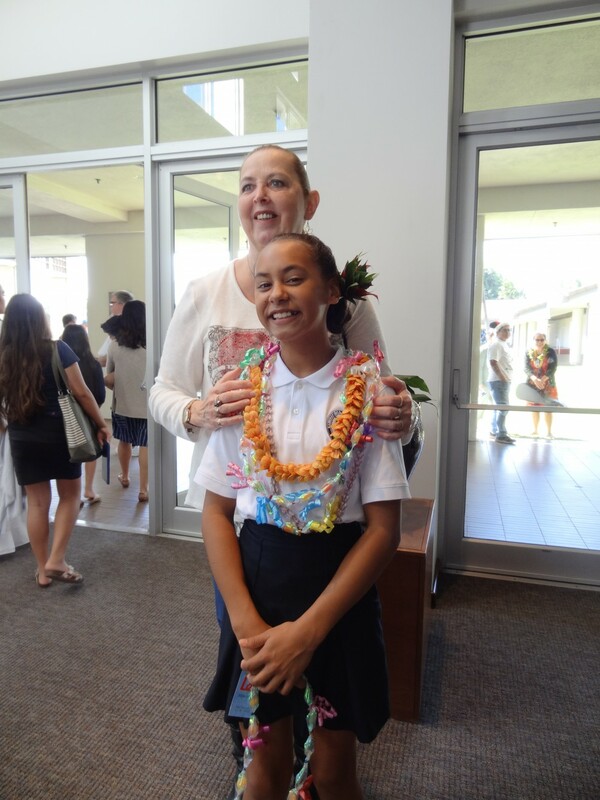 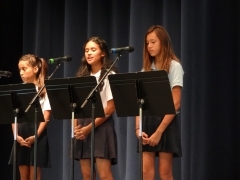 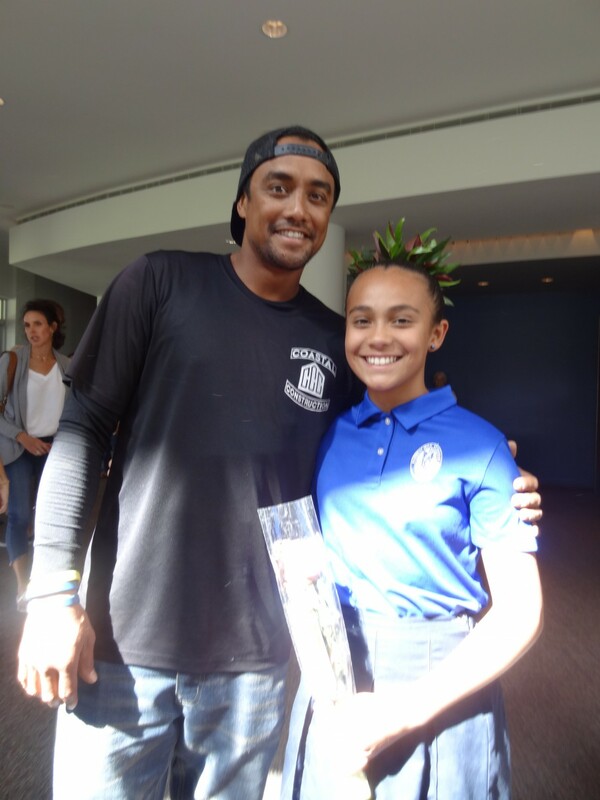 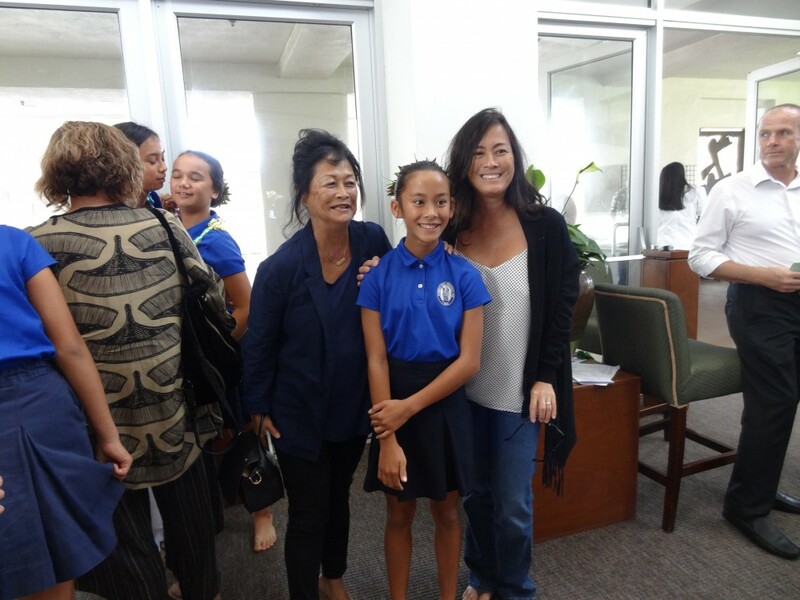 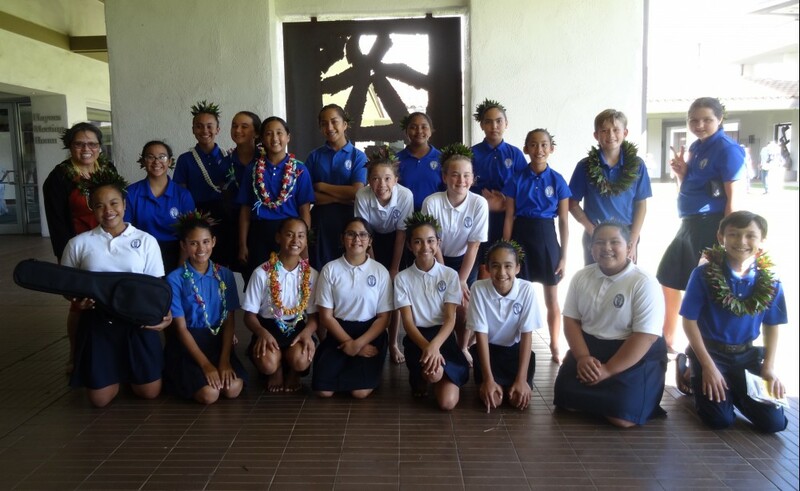 Twenty students from the KSM MS Pākōlea Music Club literally walked from bus to center stage to compete in the 2018 Nā Mele O Maui Song Competition on Tuesday, December 11th at the Maui Arts and Cultural Center. 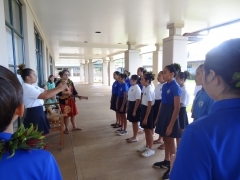 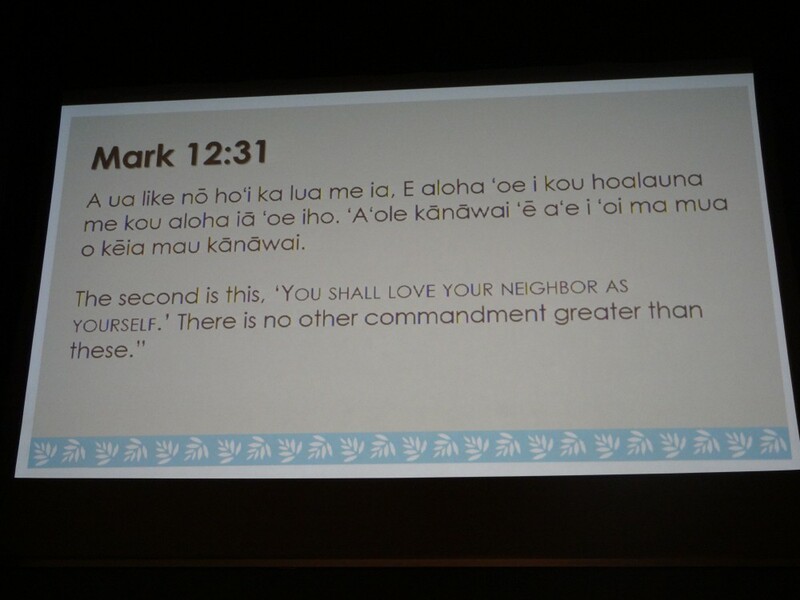 This yearʻs theme focused on songs about beach and ocean. 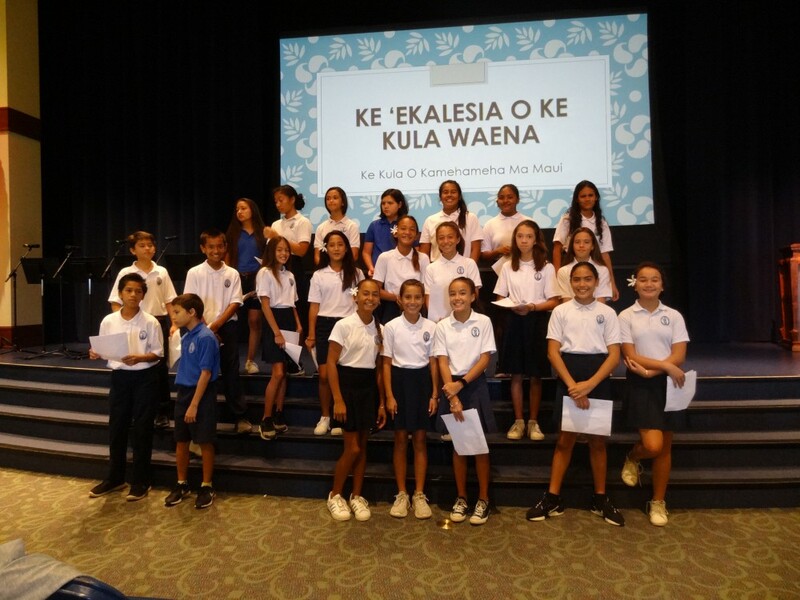 MS song selections included the contest song ʻŪlili Ē by Harry Naope and George Keahi and choice song ʻŌpae Ē by Pilahi Pāki and Irmgard Farden Aluli. 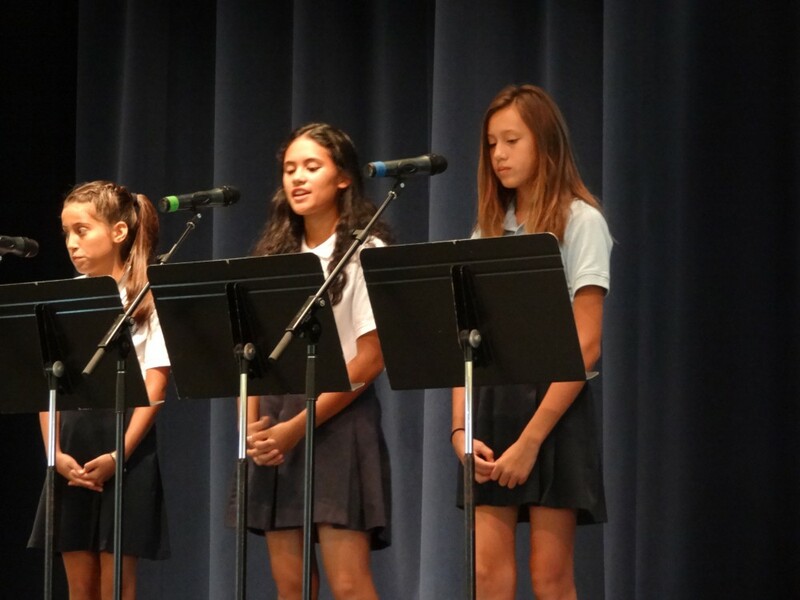 The Music Club represented the school well and placed second in their division. Imua Kamehameha!